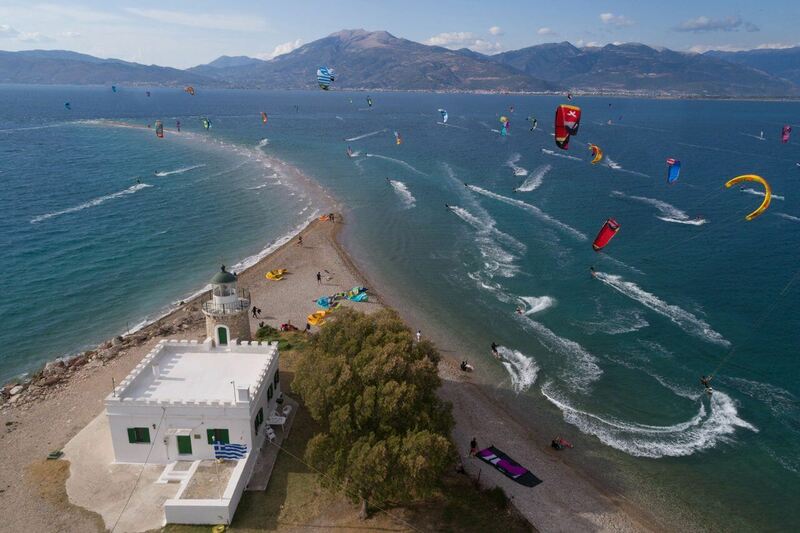 Cape Drepano is probably one of the best kite spots in Greece wind wise. 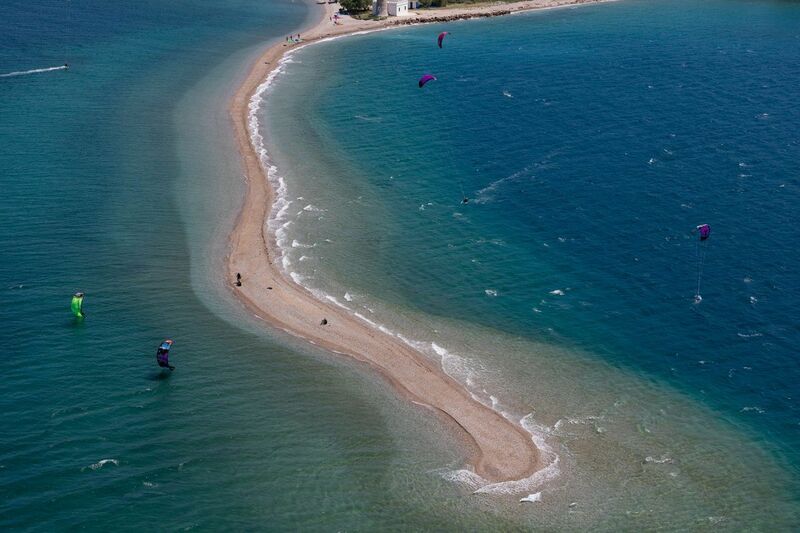 This kiteboarding spot actually is a sand bar sticking out of the water which means that there is an onshore and an offshore side in every wind direction. At the area we have nice thermals and high wind situations according to the season, low and high tides and sometimes strong currents. 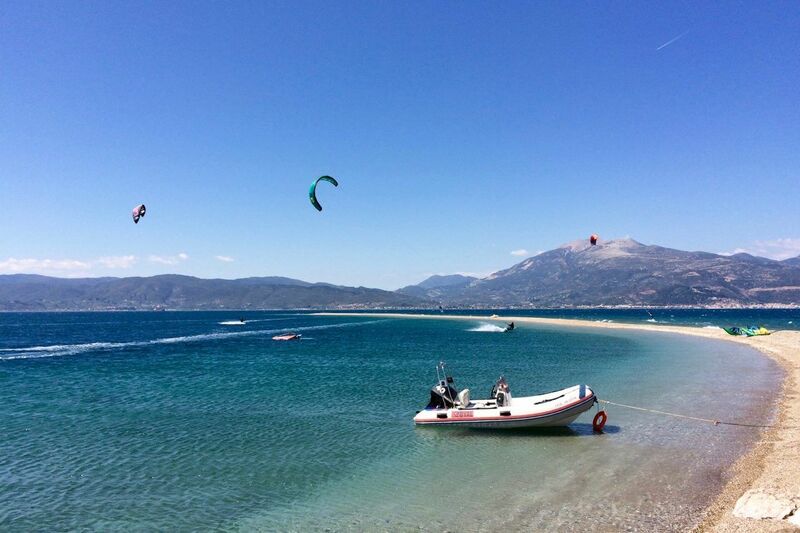 Furthermore during the high season (July and August) the flat area becomes crowded, so it’s good to be able to drift downwind and kitesurf by your own. 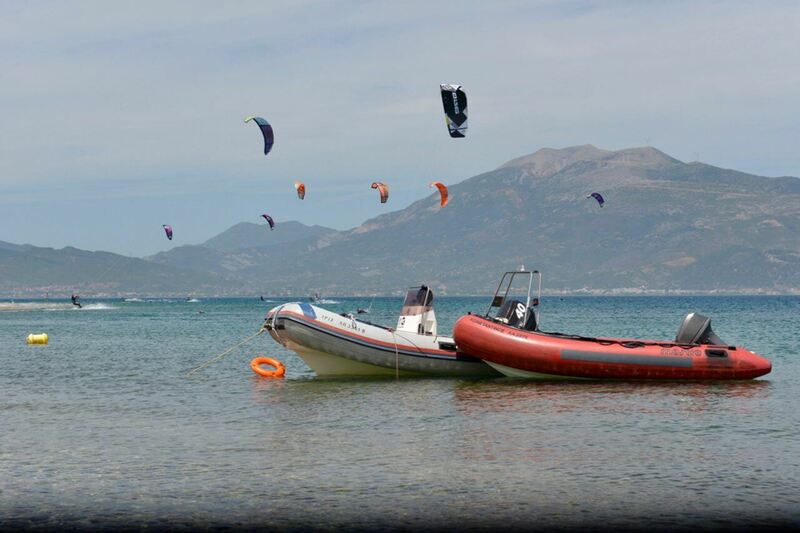 That’s why, in collaboration with Kiteboardingschool.gr we provide Rescue Services in the area of Cape Drepano for both kitesurfers and windsurfers in order to secure the safety of all students and clients. So now, either west or east winds, you can exploit what the spot can offer to the maximum with both onshore and offshore directions. 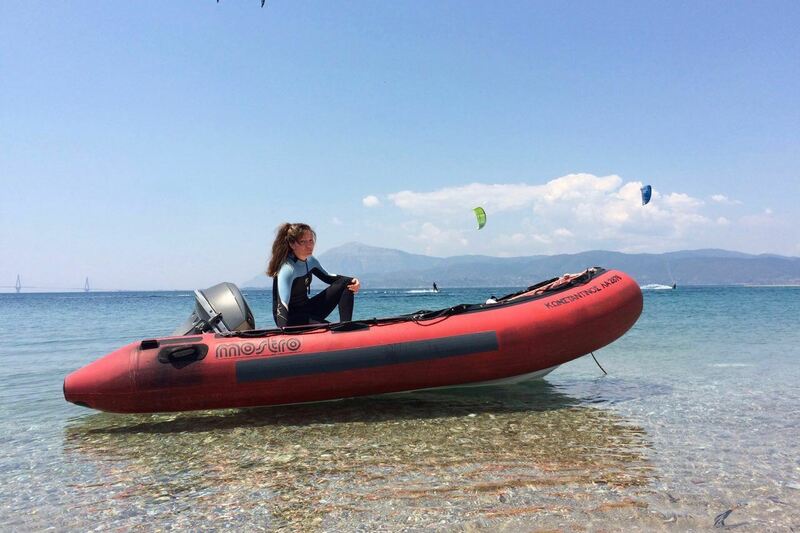 However, if you find yourself in a difficult situation during your session a rescue boat with our highly trained staff, can always help you out and bring you back to shore in safety. 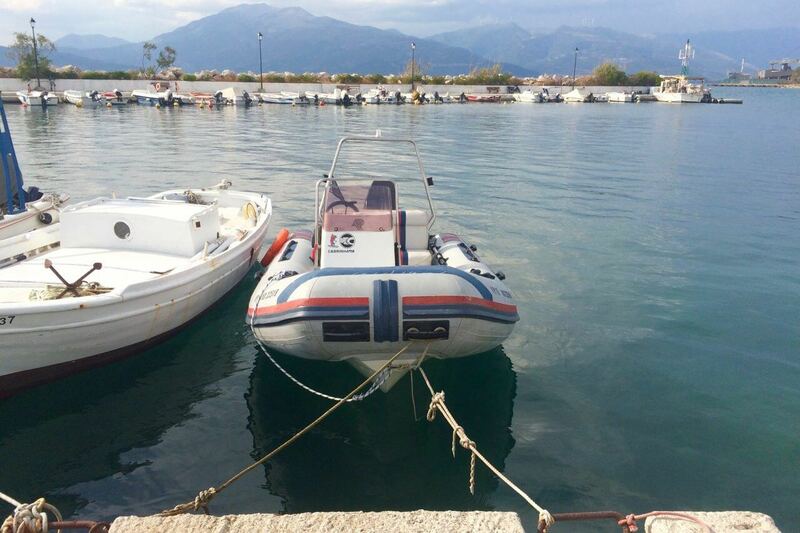 We operate during the whole summer season but also during low season upon request. 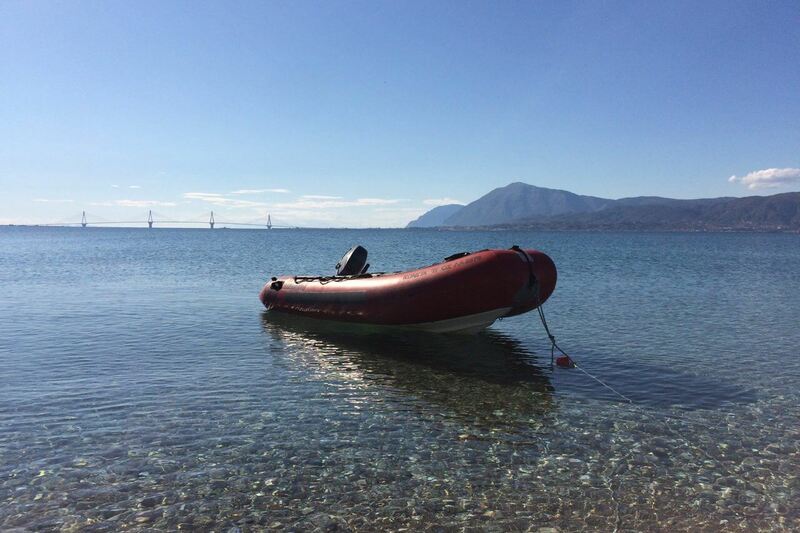 CDRS has two rescue boats and certified lifeguards (Greek authorities) which allows high aspect services and total safety during your sessions. Beginners, people who are still doing lessons or then have never been on the board (you can book your offshore lessons with the boat at this link). 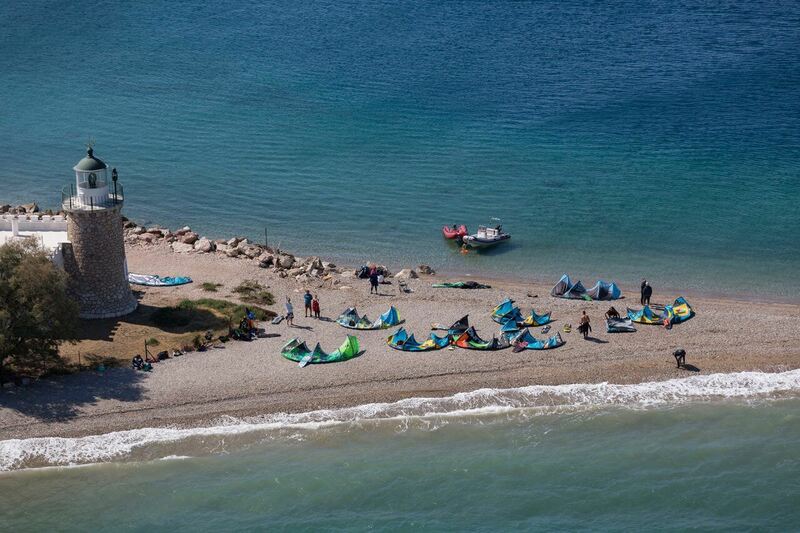 Downwinders, people who want to do a downwind sessions. 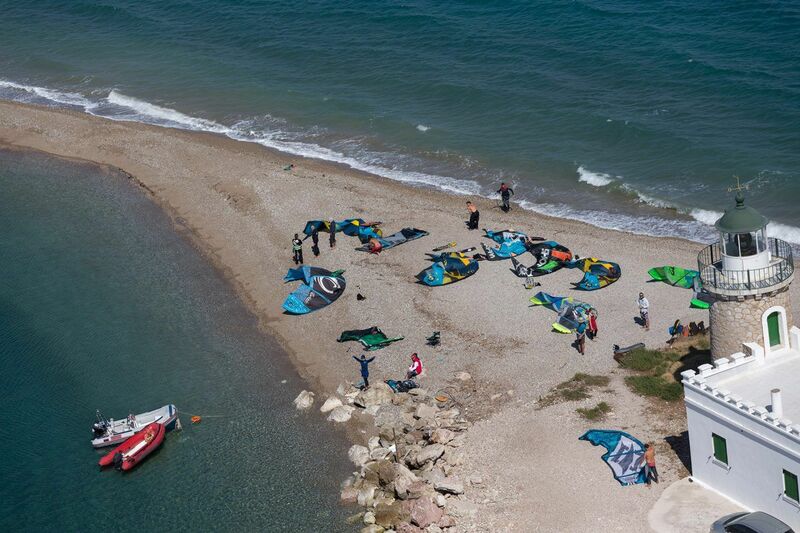 Please contact kiteboardingschool.gr to learn more about the downwind sessions which we provide. In case of a no wind day we will refund the mount of the day. 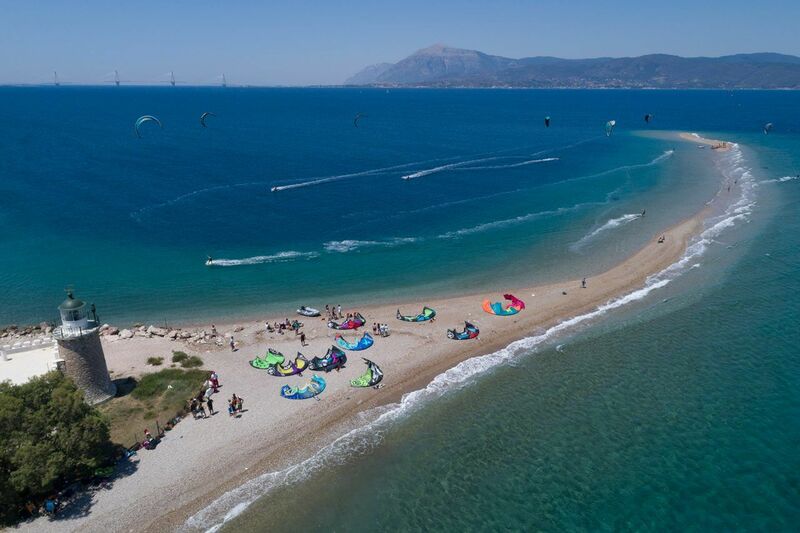 For these days you can rent your kite guide and explore other spot nearby or you can do other activities with extra charge. The mount paid is not refunded if there is not a rescue incident. The mount is being paid our time at the beach watching over you. Every day according to the forecast we let you know what time the wind will blow and what time the rescue boat will be at the scene (You must provide a valid mobile phone number with Viber or What’s up apps). 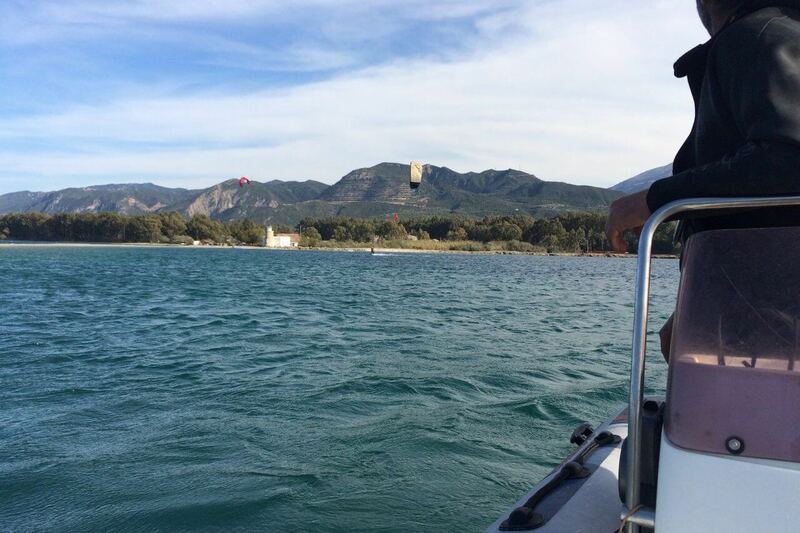 We have no responsibility for the loss or damage of any material (kite, lines, board) during your session or during the rescue procedure. 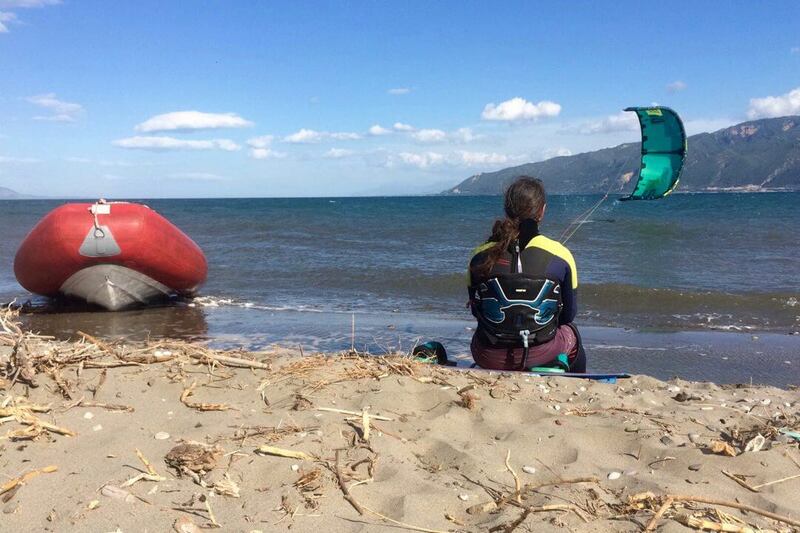 The fee for the rescue services is addressed to the “rescue” of your kite equipment. 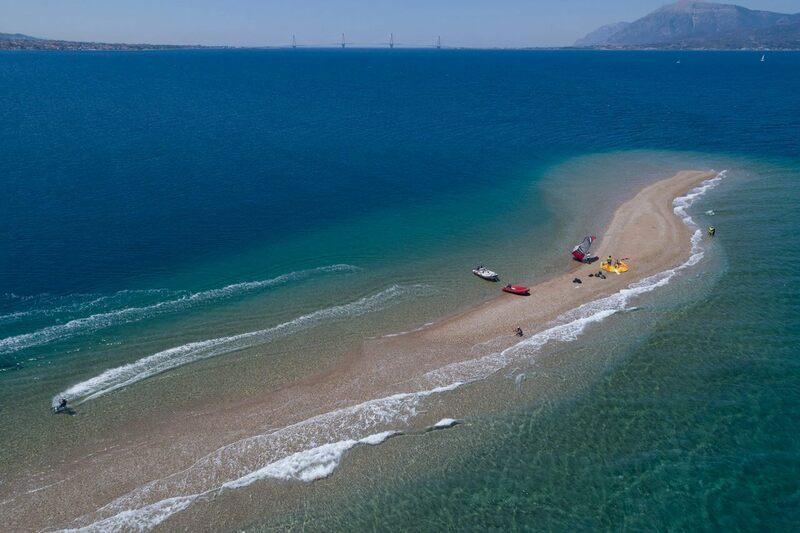 According to the Greek Law half of your kite equipment is entitled to the rescuer if brought back to shore, so it’s a small fee to pay during the rescue. 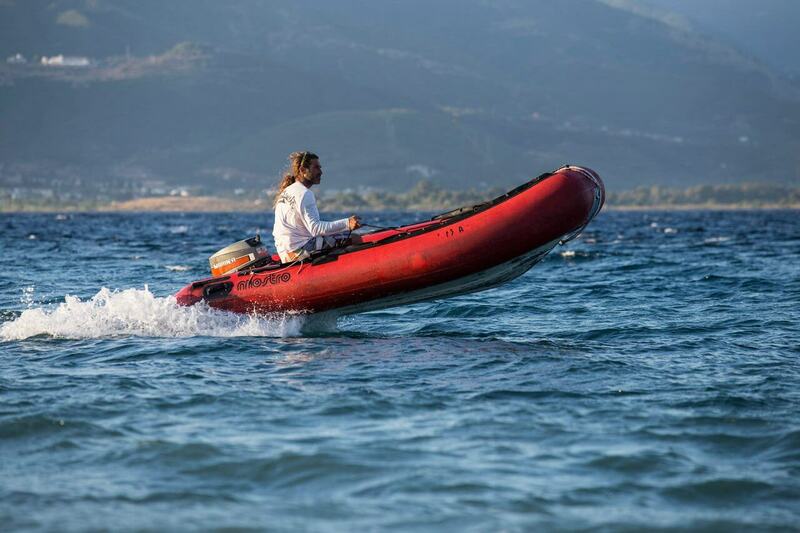 As far as the RIDER the rescue services are FREE (obliged by the Greek law), IF the rescue boat is at the area. Below you can see our pricing and purchase your rescue voucher now. This service is for people who don’t feel comfortable enough yet to launch and land their kites, especially in a small crowded space, mostly people with not too much experience/intermediate. Especially on a crowded day it can be very useful since the spot is too small. 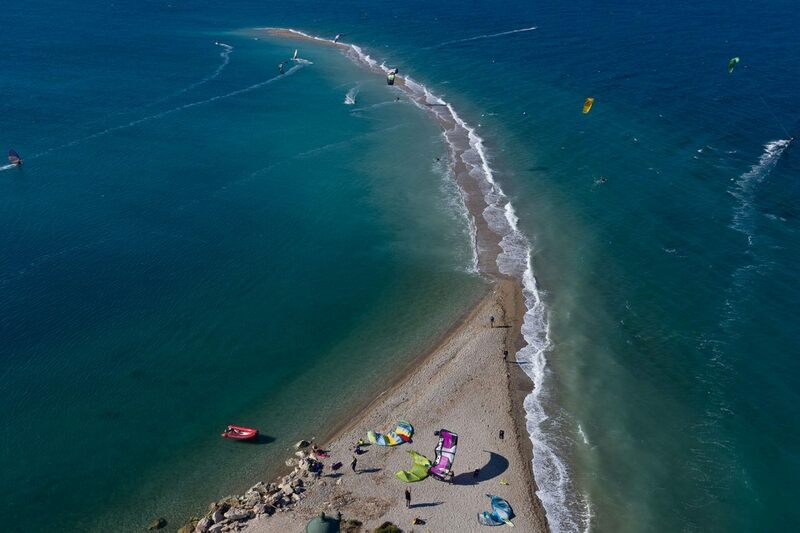 Kiteboarding Lessons and Camps are being contacted at Cape Drepano from experienced IKO instructors for beginners or advanced riders who want to improve their skills. 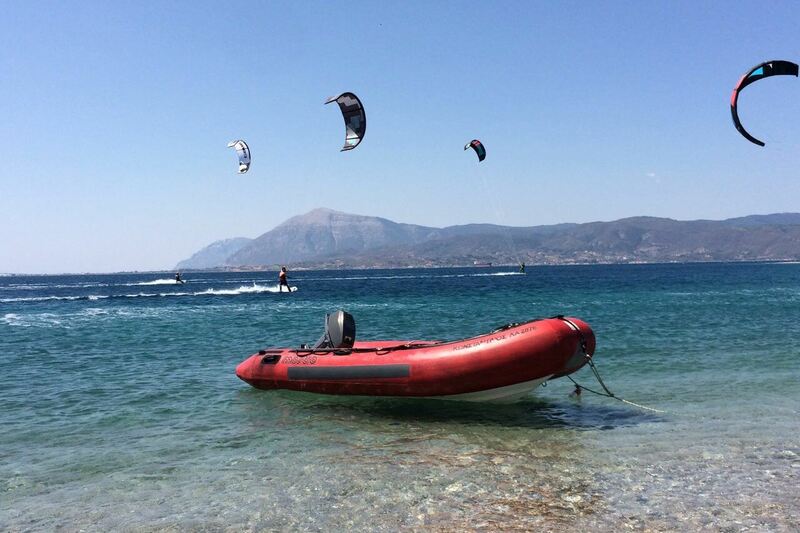 For more info please contact www.kiteboardingschool.gr or click here to book your lessons. Copyright © 2018 Developed by Ad-Visor. All Rights Reserved.